Nestled in the Hidden Hills of Western Massachusetts, the Berkshire Lakeside Lodge is positioned to provide to you the ideal location for a totally enjoyable experience at any time of the year. 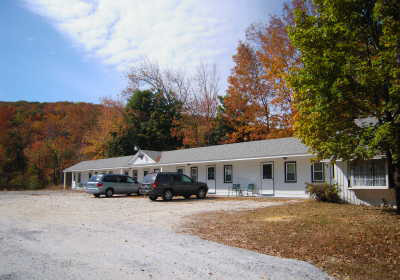 Located just 4 miles from exit 2 (Lee exit) off I-90/Mass Pike, the Lodge rests on Jacob's Ladder Road (Rt. 20), named a scenic byway. You will enjoy the setting of 2.7 acres on the Appalachian Trail which features 500 feet of lake shoreline and easy access to a host of world-class activities. 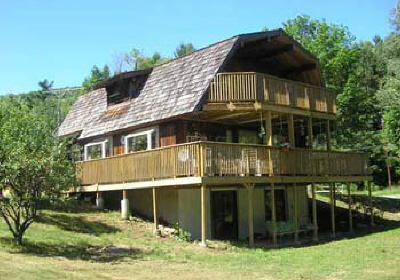 The Berkshire Lakeside Lodge provides eight units in the motel section which are complemented by a Lindal Cedar Home with 3 bedrooms, all of which overlook the 88 acres of crystal clear water of Greenwater Pond. The Lodge is small enough to ensure your privacy, yet is large enough to meet all your recreational tastes. When you stay in one of our motel units you may enjoy a complimentary continental breakfast daily. Each room is furnished with either one queen, one king or two full-size beds and features a view of the lake and the expansive lawn. Amenities include satellite TV, refrigerator, Keurig coffee maker and WiFi access. Learn More About Our Motel Units!